I just finished reading the first two issues of this new series, and what a fantastic start! We’re in the midst of an origin story that feels very much like the first Sam Raimi Spider-Man movie. 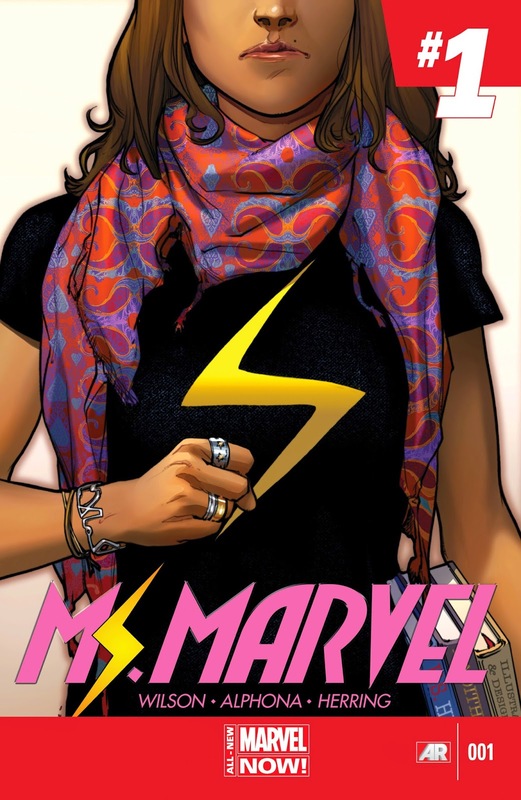 In this tale, we follow Kamala Khan, 16 year old student of Pakistani descent. She feels like she’s on an island unto herself because of this. Her parents are highly traditional Pakistani, which puts her at odds with her classmates, who she so desperately wants to relate to. But she does have a form of escapism: she’s quite enamored with the heroes of New York/Marvel Universe. So much so, there’s a hilarious page or so of fanfic! Being Pakistani isn’t the only thing that sets her apart from those around her. Her genes also have Inhuman markers in them. To add insult to injury, she winds up being exposed to Terrigen Mists, which causes her Terrigenesis. Her powers manifest as a shapeshifter, with quite a range to their capabilities. Not only can she change her appearance, she can apparently change her mass--she not only shrinks to ant size, but super-sizes her extremities. This title is off to a fantastic start. 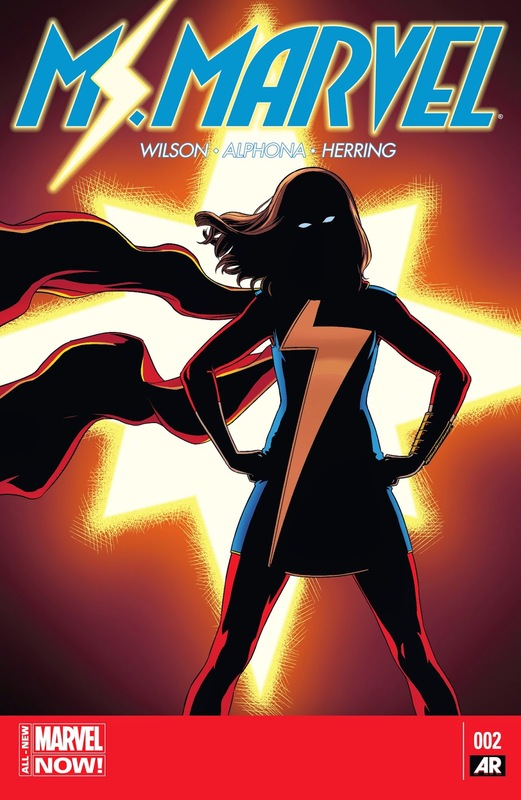 Wilson seems to be telling a very competent origin story and I’m looking forward to see where he takes this story as Kamala gets herself up to speed on her powers and confidence grows with her new abilities. But the real highlight, for me, was the art of Adrian Alphona. I was first exposed to his art in the last volume of Uncanny X-Force. Honestly, his art was one of the few bright spots of that volume, but that’s a review for another time. His line work is quite elegant and his cartooning is quite good. If he shows an upward trajectory is improvement from where he’s at now, I think his talent at facial expressions may someday rival those who I feel are the best in the biz at it, joining the likes of Amanda Conner or Stuart Immonen. In closing, this title is highly recommended! I’m looking forward to how this opening arc wraps up and where this title goes beyond that, ⅘ stars.